SMS +6591259978 <Unveil_x_ProjectName> to get the pricing. Disclaimer: Indicatives shown are subjected to change at any time. [/vc_column_text][vc_column_text]The Peak Cambodia Phnom Penh is jointly developed by Singapore Developer Oxley Holding and Cambodia developer World Bridge Land. 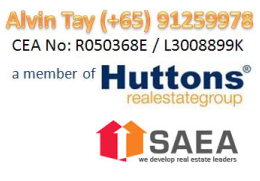 With local Singapore offices, Singapore investors has a much easier avenue to get in touch with the developer to get the latest update of their purchases. [/vc_column_text][vc_single_image image=”5696″ img_size=”full” alignment=”center”][vc_column_text]Oxley Holdings, a Singapore Main-Board Listed company, is a lifestyle property developer engaged in the development of residential, commercial and industrial developments that cater to upwardly mobile homebuyers and entrepreneurs who value quality, style and convenience. Oxley’s property development projects are typically located in prime areas and complimented by prominent lifestyle features. [/vc_column_text][vc_single_image image=”5990″ img_size=”full” alignment=”center”][vc_column_text]The Shangri-La story began in 1971 with their first deluxe hotel in Singapore. The Flow is a new freehold commercial property located along the prime East Coast Road. Another exciting development by reputable Oxley Holdings, The Flow is a new retail mall consisting of a rare mix of retail shops, restaurants and medical clinics. The architectural design of The Flow takes inspiration from the fluidity of the ocean and sea breezes. Its uniquely designed glass facade with coloured fins provides every unit with good external visibility and excellent frontage during the day and night. Unique loft-style retail shops and restaurants set a new benchmark for the ultimate shopping experience in the east. The medical clinics congregate on the top floor of the building, with the retail shops and restaurants spreading across the 1st to 6th floors of mall, including the basement where the food court is located. This place is popular for its good food and can be found on every street corner, and the general atmosphere of colour and history. This neighbourhood is a harmonious marriage of old world culture, The Katong Old Charm and contemporary lifestyle. Many from all over Singapore including tourists visited here for the good food and sight seeing. A Unique traditionally Peranakan and Nonya (or Straits-born Chinese) enclave filled with conserved 2-storey residential and shophouses showcasing Peranakan history, architecture and heritage. [/vc_column_text][vc_column_text]The Flow is strategically located along the bustling East Coast Road, with many famous eateries littering its stretch. Its unique architectural design sets itself apart from surrounding malls such as I12 Katong, Parkway Parade and Katong Plaza, while bringing a vibrant mix of services to the eastern region of Singapore. A future hotel development right beside it provides an excellent business opportunity to its services. [/vc_column_text][vc_column_text]Crescent Girl’s School offers a full line of general classes, as well as electives and special programs. The school consists of several departments that offer a variety of classes within. The departments are creative arts, English language, and literature, humanities, mathematics, mother tongue language, physical education, and science. They also offer a music elective program, talent development program, and internationalization program.